Whether you’re looking for pain relief, wellness care or family care, we welcome you to visit our practice, learn more about us and team together to discover your best health. Please dress comfortably for this visit and bring your insurance card and photo identification. We encourage you to complete the paperwork and bring it with you or arrive 10 minutes early to complete it in our office. Consultation. We’ll discuss your health history and your goals for seeing us. Examination. A thorough exam will teach us more about your current health. X-rays. If necessary, we’ll take digital X-rays in our office. 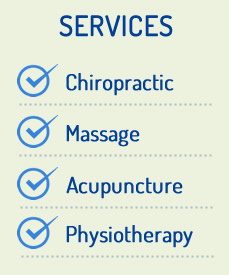 Depending on your situation, we’ll determine if we will begin care with an adjustment or wait until your next visit. You can expect this visit to last around 45 minutes. Many wonder if once you visit a chiropractor you will always need to go. Just like you don’t have to brush your teeth every day, you do it because it’s a good idea for your overall health. The same goes for chiropractic care.Chiropractic is just one piece of the wellness puzzle. It makes you feel better, perform better and function better. Like many of our patients, as you feel better and better, you’ll want to continue to feel this way. We believe that education is an incredible tool for healing. That’s why we host occasional workshops at ProWellness Chiropractic so you are informed, have answers to your questions and can make the healthiest choices for you and your family. From our chiropractors to our acupuncturist, yoga instructors to employees of the health food store, we’ll keep wellness fun and fascinating with new speakers. Schedule an appointment with us today and begin your journey to a life of wellness!